Showing 41 articles from March 1, 2017. WASHINGTON, DC -- The corporation responsible for preserving and promoting the public's confidence in banking alleges a former Franklin County commissioner and banking executive recklessly orchestrated a loan that cost his former bank employer more than $100,000. Don Lancaster's attorney, Hill Allen, notes that the heart of the matter is a technical banking issue, "not an accusation of taking money or doing something for personal benefit." LOUISBURG -- Franklin County is better known for its winding roads and dirt paths than red carpets, but Gauri Singh is trying to carve out a bit of a niche for filmmaking. 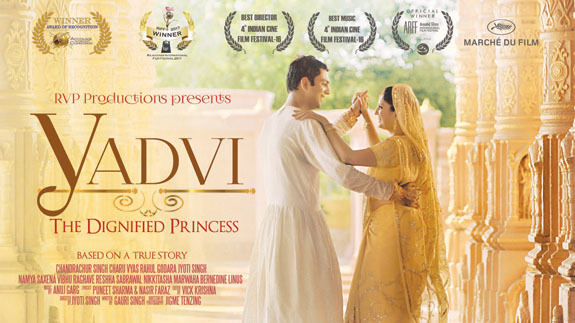 The Franklin County resident and founder of the Franklin County NC National Film Festival and the NC International South Asian Film Festival has helped make a handful of films, including her most recent entry -- Yadvi - The Dignified Princess; based on the true story of an Indian princess, her journey of strength and courage and living with dignity, at times where women hardly had any freedom. Franklinton gun range headed to court? FRANKLINTON -- The Cary law firm that represented Youngsville business partners in their successful effort to get a gun range approved in Franklin County have taken up the fight for Wake Forest residents who want to operate a gun range on the outskirts of Franklinton. During a Feb. 21 meeting, the Franklinton Board of Commissioners refused to issue a special use permit to Tony Norton and Dan Stalfire, who want to operate a range on an 88.5 acre site north and west of town. RALEIGH -- The approval of newly introduced state legislation would signal the end of Centerville as a town. For months, town leaders have discussed the future of the town, realizing that revenues were no longer covering the few town services offered. By the end of 2016, town commissioners drafted a letter to residents, essentially asking if they'd support the town instituting a tax levy. Without that revenue, the town would have to dissolve. Reporters often follow the directive of the head honcho on TV's NCIS New Orleans. Agent Dwayne Pride (Scott Bakula) often tells his folks to "Go, learn things!" 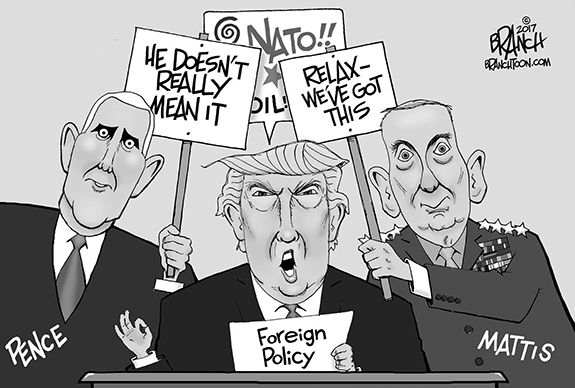 I went -- and I learned things, some of which might be of value to our local political leaders if only they would listen to common sense. Last week, while visiting North Carolina's holy city, known to most as Raleigh, I was chit-chatting with a doctor friend. A distraught woman in Arkansas asked a troubling question last week that needs to be on the lips of every American -- and re-asked and re-asked until someone in power answers it responsibly. The woman was attending a town hall event for Arkansas congressman Tom Cotton. News reports indicated that, in a voice raw with emotion, she told Cotton that her husband is dying, has Alzheimer's disease and other conditions. The past few months have been an incredible display of, not only the power of the people, but the ability and willingness of people to stand up, shout for and fight for what they believe is right. Those are incredible things, but it doesn't mean that those displays don't come without irony. In a category of its own are the protests -- some of which turned deadly -- regarding the shootings of black men at the hands of white police officers. Dear editor: Below is a picture of some of the litter that I have collected in front of our property today. Tomorrow will be a whole new collection of similar items. I would like to encourage all of you to write letters and petition our county officials to stiffen the anti-litter laws. Whatever is in place is not working. Not only is our beautiful landscape blighted by this type of trash, this past week it turned deadly. BUNN - Norman Gary Richardson, 68, died Friday, Feb. 24, 2017 at Wake Med. A funeral service will be held at 3 p.m. Friday, March 3, in the chapel of Strickland Funeral Home, Louisburg. The family will receive friends one hour prior to the service. Burial will follow in Bunn Memorial Gardens. SAUNDERS IS SAFE. Louisburg's Kaylee Saunders (right) slides safely into third base as a Franklinton defender retrieves the throw during Monday afternoon's season-opening softball showdown on the LHS campus. 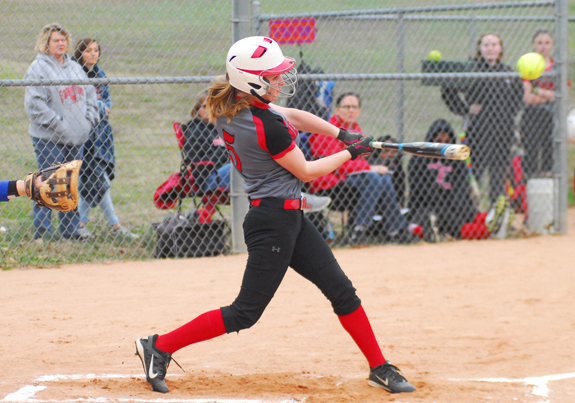 LOUISBURG -- One of Louisburg High School's most disappointing losses of the 2016 softball season came when the Lady Warriors were defeated at home by rival Franklinton. It didn't take long into 2017 for the Lady Warriors to avenge that setback. 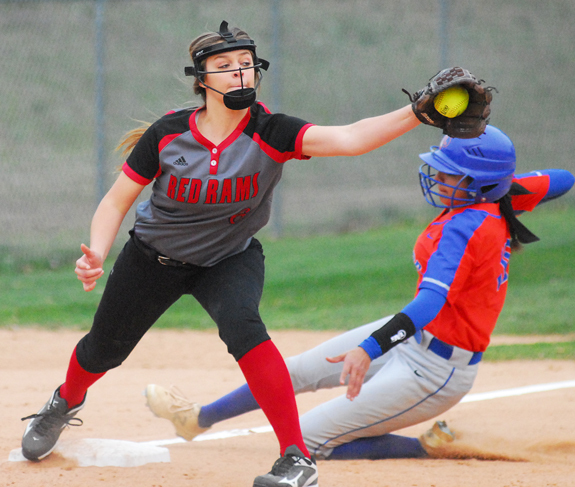 Louisburg, which reached the third round of the Class 1-A State Playoffs last year, opened its campaign in style as the Lady Warriors outlasted Fraklinton by a 5-4 margin Monday at the LHS Softball Field in the first game for both squads. GUPTON'S GLORY. 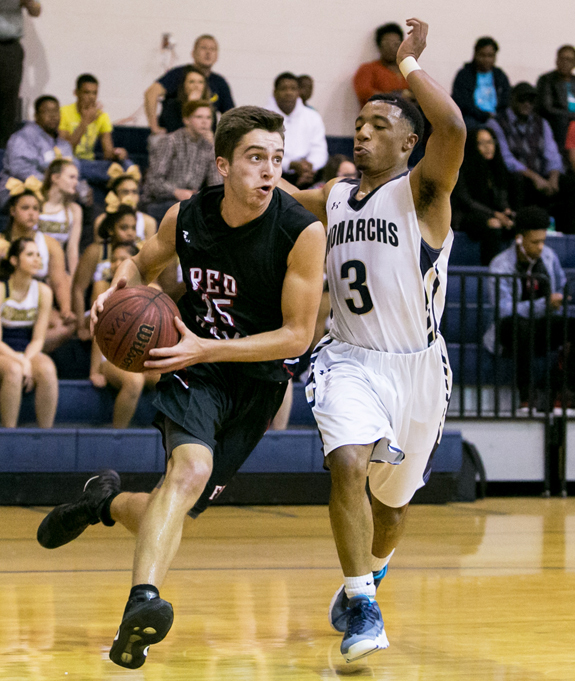 Smith Gupton (with ball) wrapped up his strong hoops career last Thursday night for Franklinton. FRANKLINTON -- Just because a team loses its final game doesn't mean that its season wasn't one to remember. That was certainly the case this year for the Franklinton Red Rams, who went 20-7 in the 2016-17 under veteran head coach Terrence Horne. 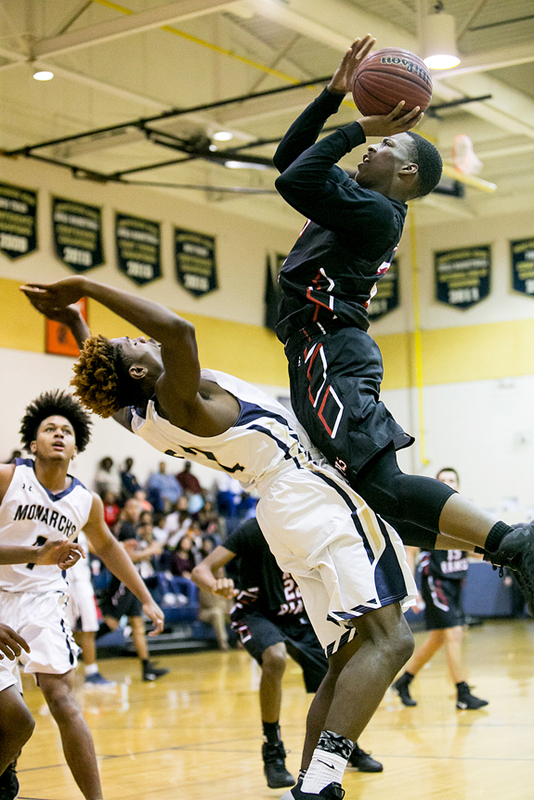 The Red Rams defeated Southwest Onslow in the first round of the Class 2-A Boys Basketball State Playoffs before facing their toughest test yet in last Thursday's second round at Northside-Jacksonville. PICK PLAY. Louisburg College's Toby Buchanan (right) is picked off from first base during last Saturday afternoon's baseball series opener against Catawba Valley Community College at historic Frazier Field on the LC campus. 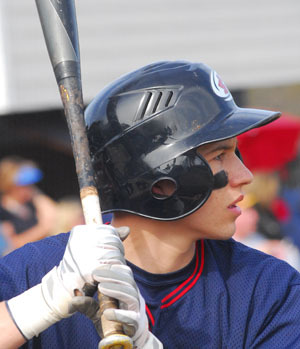 LOUISBURG -- During the off-season, Louisburg College baseball coach Blake Herring all but guaranteed that his Hurricanes would be better during the 2017 campaign. Herring's promise has been lived up to at this point as the Hurricanes are off to a strong start. 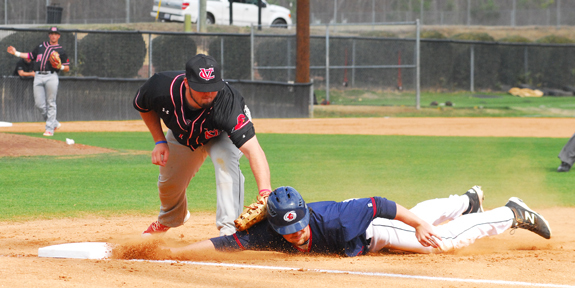 Louisburg continued to roll last weekend by winning three of four games as part of a non-region series against the Catawba Valley Community College Buccaneers. LOUISBURG -- In the past, qualifying for the National Junior College Athletic Association Men's Basketball Division II National Tournament was an all-or-nothing proposition in Region X. You either won the Region X Tournament to advance to the nationals, or you went home. But this season is different, and the change is a benefit to the Louisburg College Hurricanes. 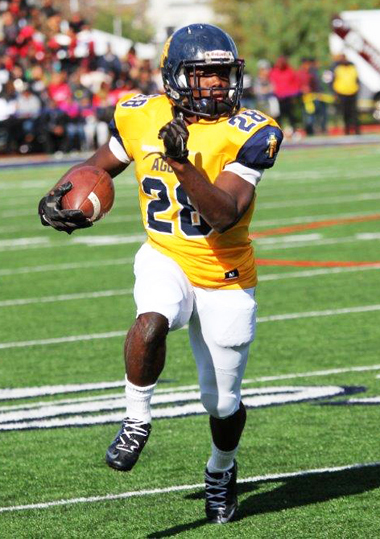 ATLANTA -- North Carolina A&T senior running back Tarik Cohen has been selected as the inaugural recipient of the Black College Football Player of the Year Award. He was presented with the Deacon Jones Trophy, named in honor of the football legend and inaugural Black College Football Hall of Fame inductee. Black College Football Hall of Fame Co-Founders James "Shack" Harris and Doug Williams made the announcement during the Black College Football Hall of Fame Class of 2017 Induction Ceremony in Atlanta last Saturday night. 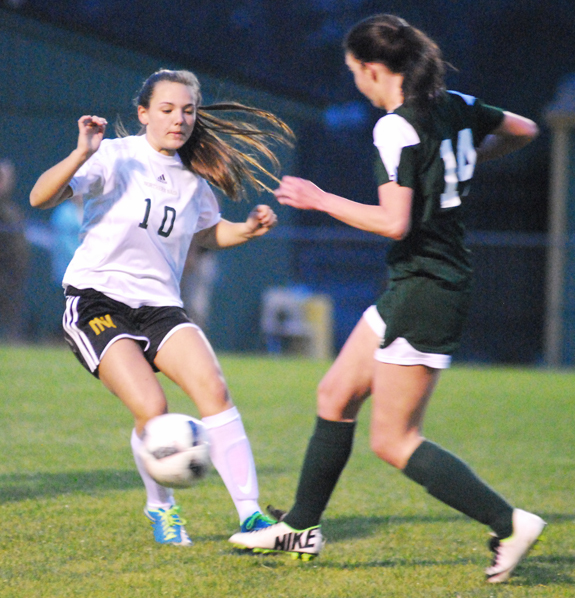 RED OAK -- Even though his club is coming off a four-victory campaign last year, Bunn High School girls soccer coach Charles Haley is brimming with optimism heading into the 2017 season. 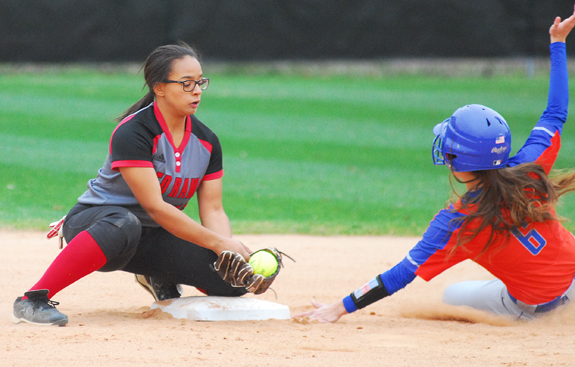 That's because the Ladycats return nine starters from a club that struggled at times in 2016, but still showed plenty of promise for the future with a young lineup. "Our goal is to make the playoffs,'' Haley said. "We want to be competitive in the (Northern Carolina Conference) and then go from there. ZEBULON -- The Carolina Mudcats are holding open tryouts for National Anthem singers and pre-game entertainers from March 11 from 10 a.m.-noon at Five County Stadium in Zebulon. Registration will begin at 9 a.m. on the third-base side of the stadium. 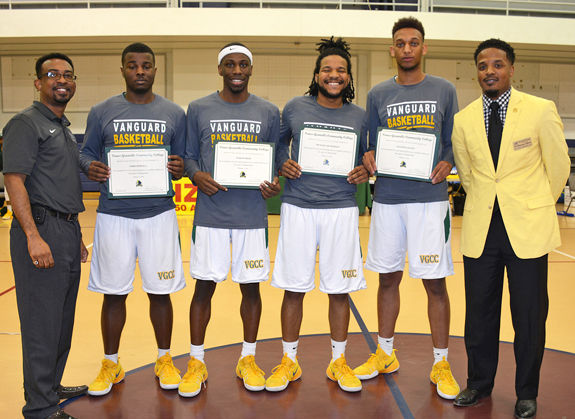 HENDERSON -- The Vance-Granville Community College Vanguards men's basketball team honored their departing sophomores on Feb. 17 at Aycock Recreation Center in Henderson. The result of the "Sophomore Night" game was a narrow 98-93 loss for the home team to Patrick Henry Community College. The hard-fought contest marked the last home game of the regular season for the Vanguards. 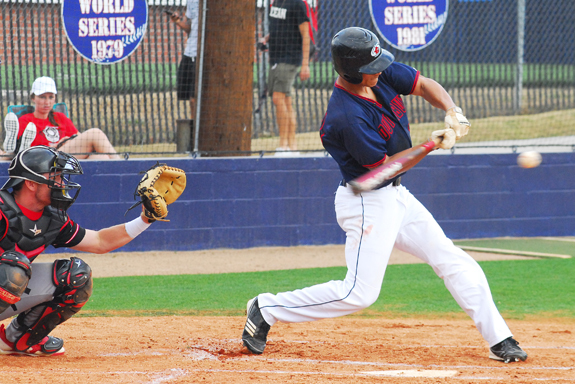 A Franklinton batter rips a base hit during Monday's road matchup against rival Louisburg. Louisburg High School's Mackenzie Wood (right) steals second base during Monday afternoon's season-opening home softball decision against the Franklinton Lady Rams. Louisburg College's Christian Lowry makes solid contact with a pitch during last Saturday's diamond doubleheader versus Catawba Valley CC at Frazier Field on the LC campus. Franklinton's Semaj McCowan (right) rises for two points during his club's road playoff meeting last Thursday night against the Northside-Jacksonville Monarchs. 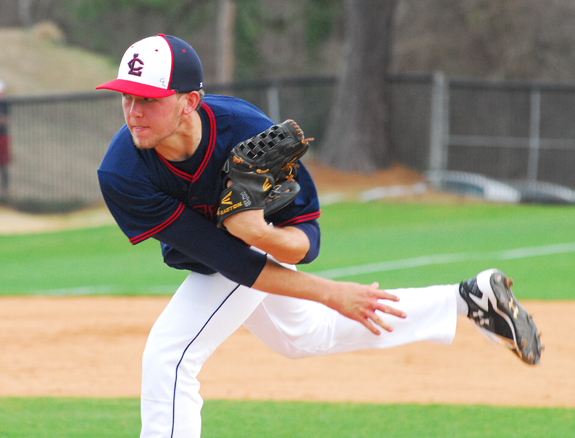 Jason Parker earned his first career victory on the mound last Saturday afternoon for the Louisburg College baseball squad versus Catawba Valley. LOUISBURG -- Arbor Day is slated for March 17 and, on the following day, agricultural enthusiasts will celebrate with the annual tree giveaway. Trees are a wonderful addition to any landscape, not only by providing an aesthetic complement, but by increasing the quality of life and improving overall health. 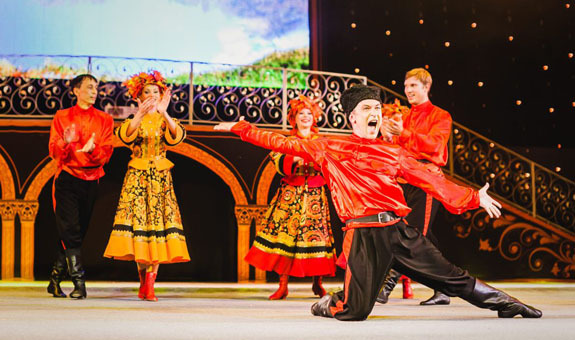 The Russian Seasons Dance Company from Moscow will be performing at the Seby B. Jones Performing Arts Center at 7:30 p.m. Wednesday, March 15. Twenty-five years after the company's inception, the Russian Seasons Dance Company returns to the United States with the program that made it famous around the world. Its sellout tours have taken the company to numerous countries in Europe, the Far East, South America, and the United States. 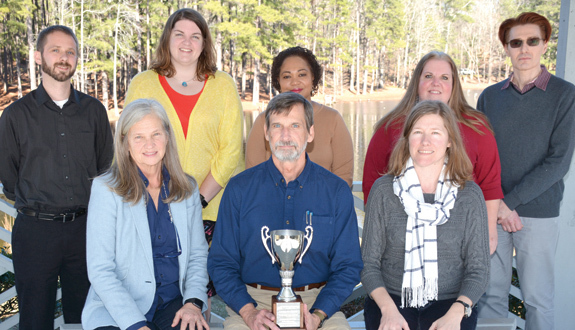 HENDERSON -- Vance-Granville Community College officials recently presented members of the college's English department with the "Vanguard Cup," a symbol of excellence. The department became just the second recipient of the cup, an honor created by College President Dr. Stelfanie Williams to recognize "exceptional team performance toward the college mission, vision and strategic plan." HENDERSON -- Vance-Granville Community College is offering a training course at its Franklin County Campus that introduces area residents to careers in the hospitality and tourism industry. The Hospitality START program will be offered from March 6 through May 8 in a hybrid format, which combines online coursework with classroom instruction on Mondays and Wednesdays from 9 a.m. until noon. A Louisburg resident joined more than 240 students who graduated from UNC Asheville in December. Courtney Claire Clemmer received her Bachelor of Arts in Mathematics with a concentration in Statistics. The Dec. 16 commencement in Kimmell Arena drew about 1,500 people. FRANKLINTON -- A Youngsville teacher and her husband are slated to appear in court next month on drug and child abuse charges. Investigators allege Kirstyn Alford, 29, and Cameron M. Alford, 32, went to Henderson to purchase heroin the evening of Feb. 23. Vance County investigators contacted Franklinton police, who stopped their vehicle at the intersection of Cedar Creek and Hicks roads -- a few miles from the Alford's Cedarhurst Lane home -- for traveling above the posted speed limit. LOUISBURG -- Louisburg College staff are investigating allegations of unwanted sexual contact and alcohol abuse that resulted in a college freshmen being rushed to the hospital. The 18-year-old student's injuries did not prove to be life-threatening. The girl's mother alleges that her daughter and a roommate were in their dorm rooms when three guys they didn't know "forced them into drinking." The Franklin-Vance-Warren Opportunity, Inc., Head Start is accepting children for the 2017-2018 Program Year. Children must be 3 years of age as of Aug. 31, 2017. Parents of children with mental, physical or emotional impairments are encouraged to apply. The program will make special provisions to serve children with special needs. 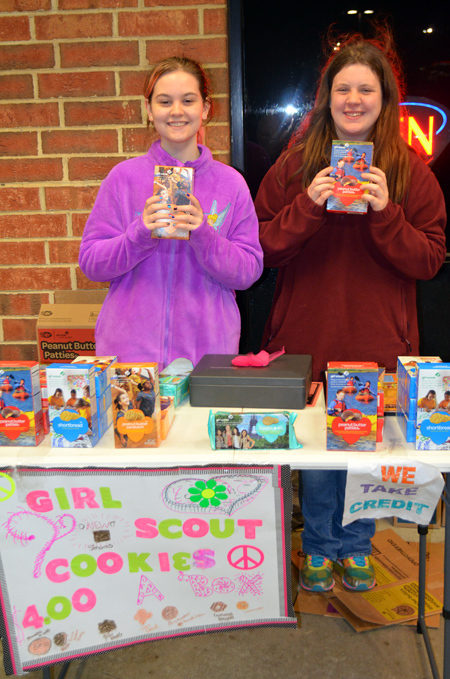 A last-minute sales effort of the famous Girl Scout cookies took place outside of El Perico Friday evening. Heather May (left) and Chasity Burnette of Troop 1422, Louisburg United Methodist Church, pose with the goodies. Anyone wishing to buy cookies may call troop leader Heather Burnette at (252) 885-8481. WAKE FOREST -- The case against a Youngsville man accused of injuring an officer and running through a home to escape arrest is still pending. Wake Forest police arrested Jared T Knaus, 29, the evening of Feb. 27, more than 20 hours after authorities say he bolted from a driver's license checkpoint in his vehicle and then fled on foot, eluding officers for nearly an entire day. Knaus was charged with felony fleeing to elude arrest, felony assault on a law enforcement officer causing injury and assault on a law enforcement officer. ZEBULON -- Franklin County sheriff's deputies were assisting federal immigration officers take a man into custody on Wednesday. Franklin County Sheriff's Office Chief of Staff Terry Wright said agents with U.S. Immigration and Customs Enforcement (ICE) went to a home at 90 Banes Road in the Zebulon area of the county to speak with a man they allege was in the country illegally. 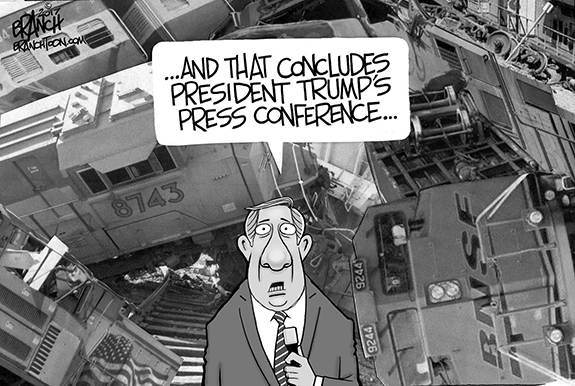 Authorities had not released the man's name before press time. Local landmark headed for destruction? 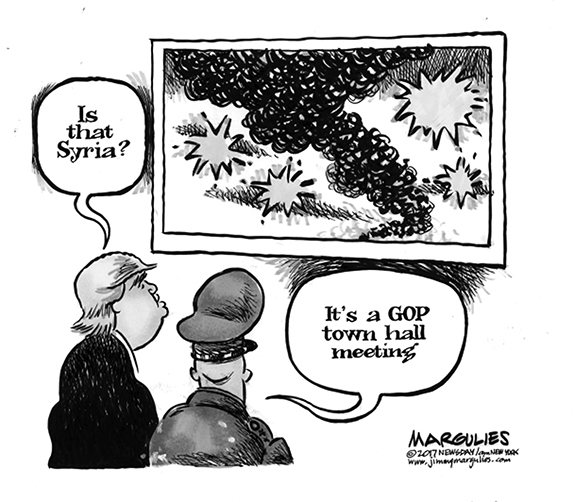 COMING DOWN? 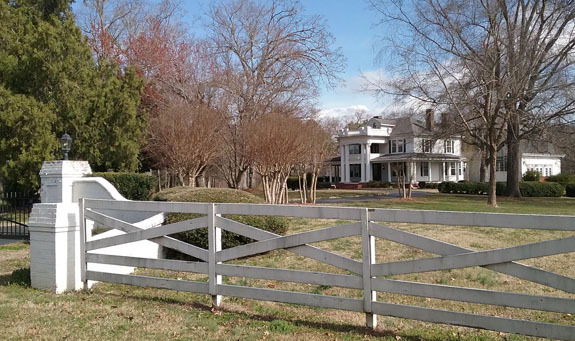 Nearby residents and those who appreciate Franklin County's historic homes have taken to social networks to convince the owner of the Triple R Ranch home to maintain the structure, which has been a draw for the town as a site for weddings and reunions. Its owner, Glenn Boyd, said the home's historic integrity has been compromised and renovation would not be financially feasible, so he plans to demolish the home, built in the 1840s. It was not clear when that work would begin. PILOT -- A Franklin County woman was killed in a single vehicle accident attributed to distracted driving. According to State Highway Patrol Trooper C.R. Lanham, Lynette Dixon was driving a Kia sport utility vehicle east on Old U.S. 64 in Pilot, heading toward Williams Road, when she ran off the road to the right at about 7:15 p.m. on Feb. 17. She over-corrected, came back onto the roadway, but ran off the road to the right, again, and hit a tree. 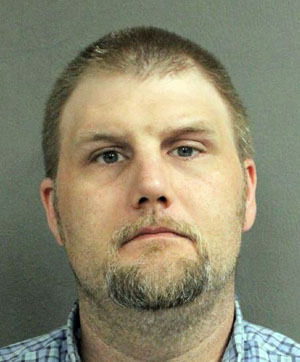 LOUISBURG -- Prosecutors agreed to provide some evidence to the attorney for a man accused of killing his estranged girlfriend in the summer of 2015. It was the latest hearing in a case that could be set for trial this fall. Authorities arrested Garry Yarborough on July 27, 2015, a day after they allege he shot and killed his estranged girlfriend, Tracy Williams, in a parking lot in Franklinton. To celebrate Black History Month, a group of students at the U. S. Coast Guard Academy caught up with some Coast Guard Academy cadet athletes to learn about why they chose the Academy, their experiences there, and what Black History Month means to them. 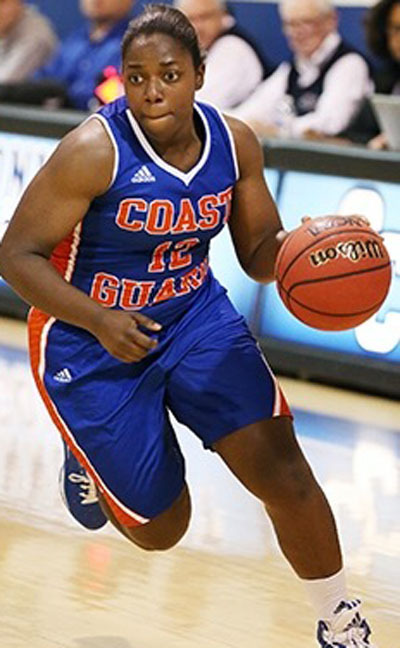 Jayla Joyner, a sophomore from Charlotte who plays point guard on the women's basketball team, was one of those athletes. She has several memorable experiences, but cherishes one particular moment during her first year at the Academy.